This summer REALTORS® from across Ontario gathered at the REALTORS® Association of Hamilton-Burlington (RAHB) headquarters to start a 200+km journey to Sarnia to raise funds for shelter-related charities across the province at the REALTORS® Care Foundation Motorcycle Ride for Charity. The Sarnia-Lambton Real Estate Board. This year’s fundraising goal was $25,000. 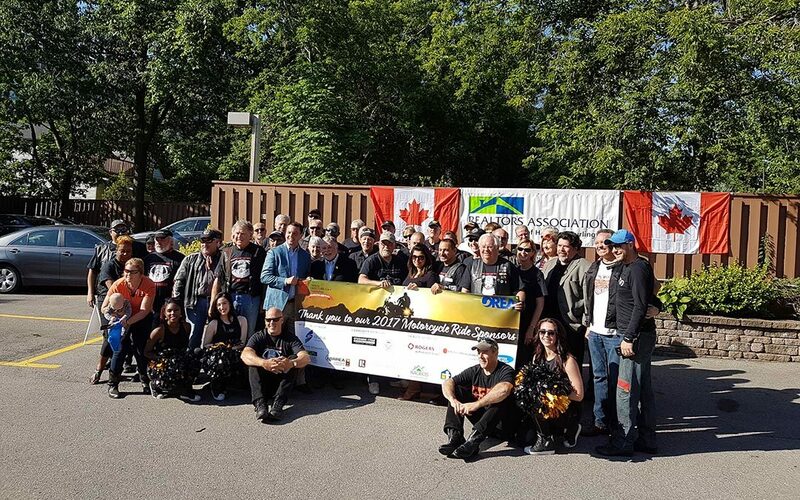 The final tally is in, and the 2017 Motorcycle Ride for Charity raised approximately $28,000! A big thank you to all REALTORS® and donors that participated in raising funds for local shelter-related organizations. To donate or learn more about that REALTORS Care® Foundation Motorcycle Ride for Charity, visit https://realtorscareontario.ca/ride.